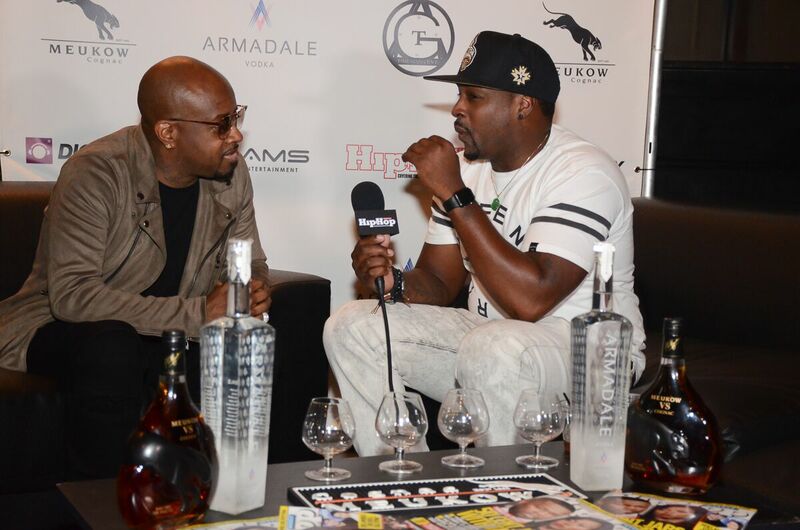 Atlanta, GA. 10 OCT 2016 – In honor of Atlanta’s A3C Festival, this past Saturday Hip Hop Weekly hosted their Soundstage & Interview Suite Livestream entertainment & networking event at ATL hotspot, Harlem Nights. Hosted by hip hop pioneer and co-owner of HHW, Benzino (who also gave an impromptu performance that excited the packed house), this event invited out some of the best breakthrough Hip Hop artists to perform in front of select media and industry tastemakers at their much acclaimed soundstage, as well as sitting down the acts and other special invited VIP guests for intimate one-on-one interviews and networking. Being owned by the two men who created the blueprint for hip hop media and journalism almost 30 years ago, David Mays and Benzino, Hip Hop Weekly has dedicated their resources and platform to finding and showcasing some of the industry’s greatest emerging talent. By hosting this livestream soundstage, it allows fans, followers and industry professionals to view new talent and network with one another. Saturday was another amazing event in the books with a diverse group of emerging performers including Bases Loaded Entertainment’s Lotto Savage and Loso Loaded, Lil Boosie’s artist OG Dre, Young Thug’s new artist Gunna, Jaio, AMS Music’s Cliff Davis, Time Gang’s A1 Wissel, Hotboy Flocck, Chashout Clete, Grassa, Quiana Ree, Cymcole and headliner talent Young Dro. The Coast to Coast Mixtapez Showcase also featured a group of aspiring new artists.